Asia Infotech is an Ahmedabad-based provider of high end technical solutions to companies all over India with an esteemed clientele spreading through various industries like engineering, construction, architectural. The professionals at Asia Infotech are also known to offer flawless mechanical design services to their clients that are used for a wide range of development projects. Asia Infotech is a cutting edge technical solutions provider in India that has already established itself as an industry leader within a short time. Originally established in 2009, the professionals at Asia Infotech have proven their mettle time and again with superior quality solutions for their clients. They regularly work with firms operating in the engineering industries. Asia Infotech is particularly skilled at offering top of the line mechanical design services to companies for various types of projects like development of HVAC systems and product designing. Companies operating within petrochemicals, oil and gas, water and waste water treatment industries regularly make use of the expertise offered by Asia Infotech. Mechanical drafting services are an absolute necessity in modern times to meet up with the rising demands for better products. 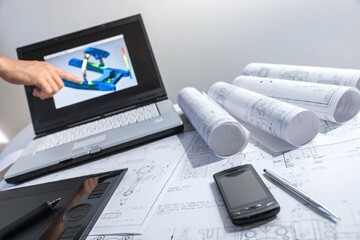 For this reason companies are always in search for service providers that can offer them cutting edge design solutions. Asia Infotech can create highly accurate structural designs and mechanical assemblies and then turn them into high quality CAD drawings. Using services such as mechanical 3D modeling and mechanical 2D drafting, the experts at Asia Infotech can deliver solutions that are indispensable in today’s mechanical engineering world. It is for this reason that their services are widely revered by various companies. Asia Infotech is considered to be a pioneer when it comes to top of the line mechanical design services. With their unique approach to their work, the experts at Asia Infotech are skilled at resolving critical design problems with ease and deliver dynamic solutions to companies who are looking to enhance their product development techniques.